Thirteen rounds of La Liga 2014-15 have passed us by, and it’s been an explosive 13 rounds. Atlético’s quest to hang onto the league crown, Real Madrid’s unbridled dominance, Barcelona’s three world-class forwards trying to get along, Valencia’s resurgence, David Moyes calling the shots in San Sebastián…the list goes on. But we’ve reached the point in the season where small sample sizes become irrelevant, and we’ve reached the point where it’s time to start identifying “contenders” and “pretenders,” so to speak. To that end, I have created a data table that encompasses the entire league and quantifies each team from an analytical standpoint. Because the regular table just won’t do. –PDO: You may think it’s an acronym, but it’s not. PDO is a statistic that attempts to identify a team’s “luck factor.” It is the team’s scoring percentage (aka conversion rate) added to its save percentage and multiplied by 1,000. An average PDO tends to run between 980 and 1,010. –TSR: Total Shot Rate. Hockey fans know this stat as “Corsi” in their sport. It is the total amount of shots a team takes divided the numbers of shots taken PLUS the number of shots allowed. The best sides usually have a TSR close 0.6. –NPG conversion rate: Simply a club’s goal-scoring percentage stripped of penalties. Okay, let’s get started. Here’s the data table, organized according to each club’s numerical standing in the league table you can find on WhoScored. –Yes, Real Madrid have been as dominant as advertised. They’ve outshot everyone by a mile, they’ve banged in goals at a record pace, and they’ve done a much better job of keeping the ball out of their own net. Buuuuut…only Rayo Vallecano have allowed more total shots AND shots on target among teams in the top half. Iker Casillas has experienced a surprising return of form, but I doubt it lasts. You just get the feeling that the 3-2 or 2-2 games will be back at some point in the near future. Drop Bale, start Isco. 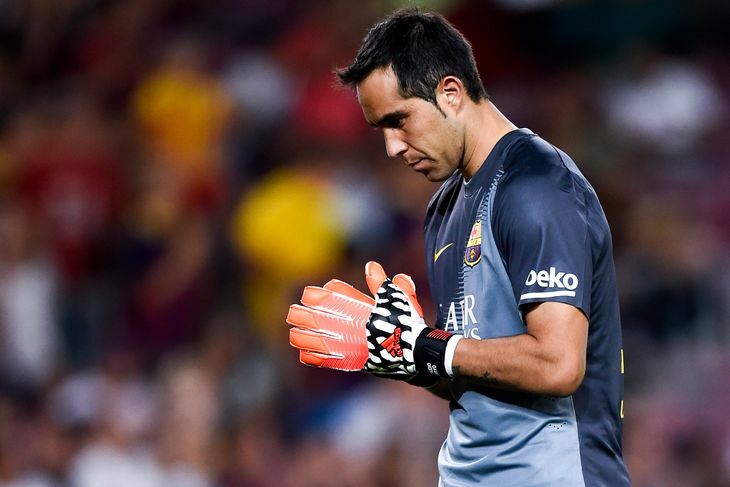 —Barcelona have the best PDO and TSR numbers in the league, and only Atleti have conceded fewer shots. Of course, this “defensive” dominance came between 24 August and the 25 October Clásico, when the Blaugranas did not concede a single league goal. Barcelona won’t see much regression in attack; the shots will continue to rain down, and that conversion rate may yet increase as the Messi-Neymar-Suárez trident continues to gel. However, this is still a weak defensive side that’s already been hit for three in a Champions League game, and likely will see their share of multiple-goal clunkers. Thomas Vermaelen was a great signing, lads. —Atlético Madrid have a modest PDO (a mere sixth in La Liga), but possess the league’s second-best TSR. What that means: the reigning champions have been just as stingy in shot and goal prevention, but have had problems finishing. This was especially true earlier in the campaign, and as we enter December, Atlético have only seven open-play goals. However, the team’s saving grace has been set-piece goals, with the brilliant Koke providing those dangerous chances. In short: despite the predictable dip in goalkeeping and aforementioned open-play inconsistencies, Diego Simeone’s troops are just fine. –Europa League winners less than seven months ago, Sevilla lost their two best players, but Unai Emery has put out another strong side anyway. An off-year from the Portuguese Beto in goal has not deterred the Andalusians, who mostly have the impeccable Carlos Bacca to thank for their excellent conversion rate. Once again having to juggle European responsibilities with the grueling demands of La Liga will keep Emery’s side busy, but don’t expect Sevilla to fall off very much. This is a top-five side. Just don’t expect good things against the Big Three (outscored 9-1 by Atleti and Barça, with a trip to the Bernabéu set for 3 February). –Oh, dearie me, Valencia. Regression is going to hit y’all HARD. That impossible-to-sustain 1,220.0 PDO is fueled by a ridiculous 44% conversion rate; indeed, only Athletic have attempted fewer shots in the top half. Diego Alves is solid, but he can’t save every shot a back-line held down by Nicolás Otamendi and duct tape concedes. Valencia better find a way to play some 1-0 games, and FA–oh, you’re telling me they lost a 1-0 at home to Barça over the weekend? Yeah. Still a decent chance to make Europe thanks to zero international commitments, but the red flags are there, and in plain sight. –The managerial carousel known as Málaga has been a pleasant surprise this term. Good defensive organization was the catalyst behind a five-game winning streak that shot them into the European places. Solid TSR, but what’s with the weak PDO? Málaga have not been short of chances (look at the penalty-area shots), but their best attacking player is Roque Santa Cruz. Yes. Málaga’s lack of viable options up front (there’s Roque, Nordin Amrabat, and Samu, I guess) will keep them pinned between sixth and ninth, but continued strong defense will prevent a freefall. 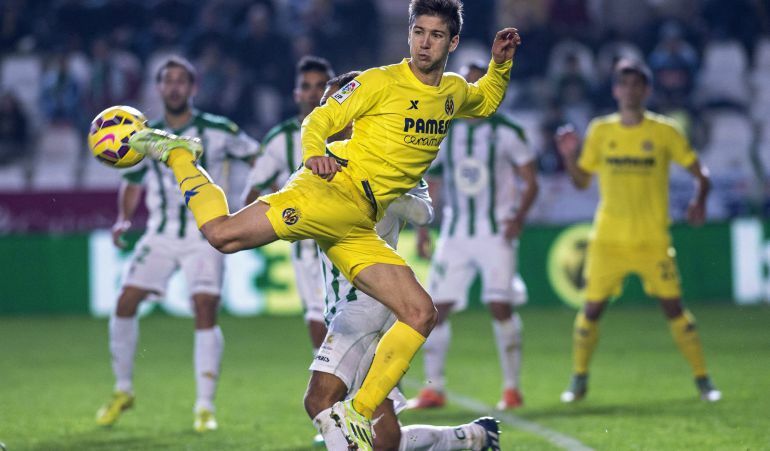 –Surprise Europa League participants this year, Villarreal are a team built with a solid back line, and feature rampaging Real Madrid loanee Denis Cheryshev on the left wing and several decent forwards, including 21 year-old supersub Luciano Vietto. Despite a very good PDO and a competitive TSR, the Valencian club are only in seventh. They’ll definitely stick around, but they need to not draw with the Eibars and Granadas of the league. –If Celta Vigo can keep doing what they’re doing, they will be in great position to claim a European spot. Hard to imagine, but this side is better than Luis Enrique’s from a year ago. The 25% conversion rate may seem a tad unsightly, but otherwise the Galicians have the hallmarks of a top-five club–just buried in eighth place. Nolito and Fabián Orellana on either side of Joaquín Larrivey is a three-forward group that has been hard to stop, with 15 goals between them already this season. They can play the big clubs; they drew at the Calderón and won at Camp Nou. Eduardo Berizzo and Marcelino will down a few beers discussing their teams’ failure to beat Eibar and Granada. –After a nasty start to the season, Athletic have turned things around…somewhat. 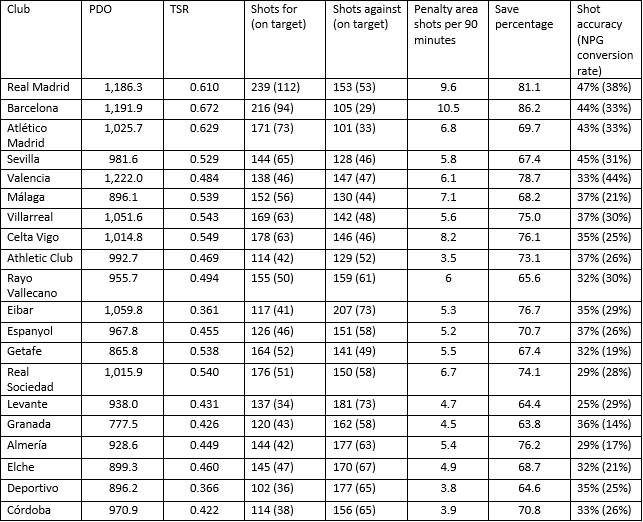 Fewest shots in the league, fewest attempts from the penalty area, lowest TSR in the top ten…aside from Aritz Aduriz (one of my favorites), the attack hasn’t been pretty. The Basque club have been in fine form defensively however, and the center-back pairing of Xabier Etxeita-Aymeric Laporte has potential to become one of the finest in Spain. Athletic should be one of potentially seven teams fighting for the final three European places. —Rayo Vallecano are all about one thing: fun. They are Spain’s response to Hoffenheim. 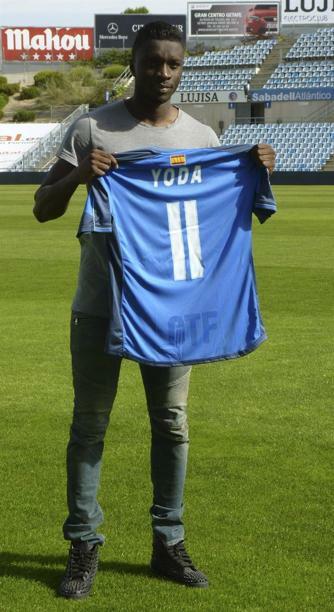 Mid-table is just right for Paco Jémez’s troops, who have been led this season by eternal Chelsea loanee Gaël “Didn’t you used to be Gaël Kakuta” Kakuta. –Don’t buy into them, everyone. Eibar will be relegated this season. They have been outshot by 90. NINETY. That 0.361 TSR is probably the worst I have ever calculated. They are the only team to have conceded 200 shots to this point in the season. If not for the frequently-fantastic Xabi Irureta in net, the sheen of some heroic early-season performances would have worn off long ago. Their 11th-place standing has some pundits fooled, but the fall is coming, I’m sorry to say. —Espanyol are just kinda there. Comfortably mediocre. Again. Last top-half finish: 2011. –I think everyone knew Real Sociedad were much, much better than 19th-place. Part-unlucky, part-bored, a quality side such as Sociedad (who have played in Europe the past two seasons) needed the kick in the shorts that sacking Jagoba Arrasate would bring. They’ll return to form under Moyes (Carlos Vela already has) and may even have a say in the Europa League race. —Granada. This is a really bad side. There’s just no other way to put it, and there’s nothing more to say about them. —Almería. Winless in 10 when they’ve run a 4-2-3-1. One goal from open play this season. Only Levante are worse with shots on target. None of this bodes well. —Deportivo. Yikes. At least a fair amount of their attempts find the goalkeeper’s arms/chest/etc.? –Finally, the infamous Córdoba, winless through 13 matchdays. All told, that’s not a bad PDO, but a disjointed attack contributes heavily to the fact that THEY ARE STILL WINLESS and that’s a death knell. The next data table will be out after matchday 19. I plan to publish one every four-to-six weeks until the season ends. Still many twists and turns (read: much progression and regression) to go, so I hope you’ll follow along! This entry was posted in Analytics, La Liga and tagged almería, Athletic Bilbao, Atlético Madrid, barcelona, córdoba, celta vigo, David Moyes, deportivo, Diego Simeone, eibar, elche, espanyol, getafe, granada, La Liga, levante, málaga, Rayo Vallecano, real madrid, real sociedad, Sevilla, TSR, Valencia, Villarreal. Bookmark the permalink.